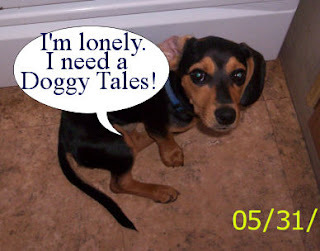 The Miss Mae Site: Doggy Tales? Anyone? I've heard from so many readers how they enjoy 'Doggy Tales'. It makes me smile to know there are so many like-hearted people who simply can't live without some kind of animals in our lives. But, helloooo! I need more stories, please! Have you recently given Fido a bath, and he sprayed you with bubbles? Please tell us! How about the shave that went wrong at the groomers, and Sebastian came home looking like a crazed squirrel? We'd love for you to share the story!! I don't know if this would qualify but I have a sad tale that has an HEA about my chocolate lab, Jack. Doggy Tales -- Let's Have Fun! July is Sizzling with Sales of Miss Mae's Books!